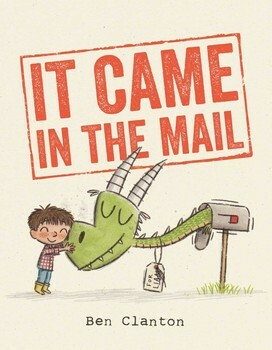 As children’s author Lois Brandt tells it, years ago, she peeked into her best friend’s refrigerator and found empty shelves and one small carton of milk. The family didn’t have enough money to buy more food. Maddi’s Fridge, Lois’s first picture book, published by Flashlight Press, is the result of that moment. Lois was one of the first writer-friends I met when I began my studies in the MFA Program in Creative Writing at the Northwest Institute of Literary Arts, Whidbey Writers Workshop on beautiful Whidbey Island. In fact, I’ve now convinced myself that Lois read from an early version of this very manuscript as our small group sat huddled in one of the snug cabins at Fort Casey during a blinding snowstorm in one of our first workshops, led by local Newbery honor winner Kirby Larson. I tell you this as an introduction to confirm what so many writers know (and so many of our friends and families hate to hear us admit)—many of the stories we write take years and years to germinate, develop, write, revise, revise again, and finally, hopefully publish and bring out into the world. I asked Lois if she would share a little of what she’s learned about writing and readers in her first foray into the publishing world. Q: “Maddi’s Fridge” has been praised as a picture book that tackles a tough subject without making it an “issue” book. What are you hearing that readers enjoy most about the story? 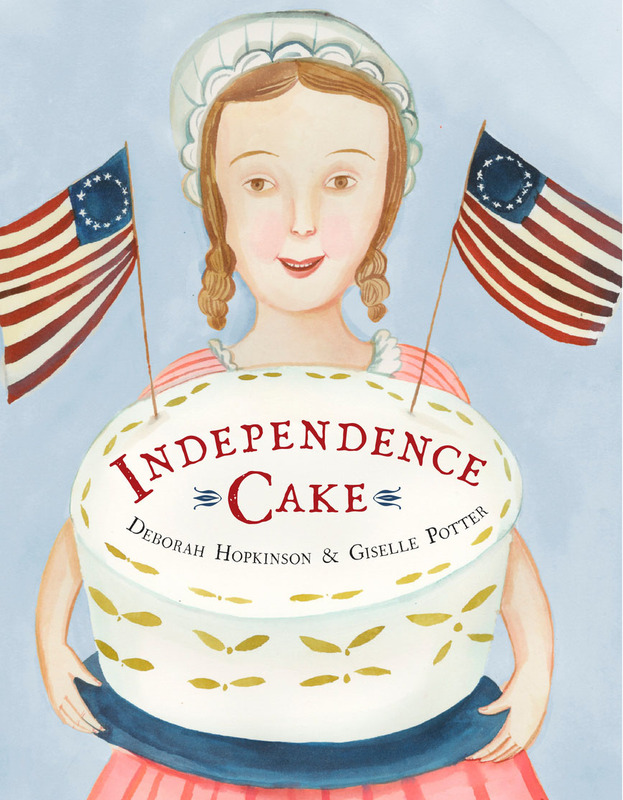 Lois: Like all picture book authors, I have both kid and adult readers. 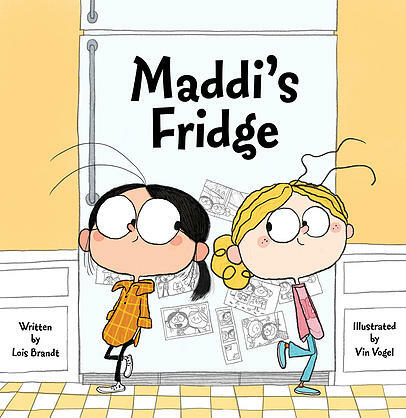 When I ask kids “What is Maddi’s Fridge about?” the first hand in the air often says “friendship.” A lot of young readers respond to the friendship between Maddi and Sofia and Sofia’s attempts to help her friend. We talk about friendship, what being a friend means, and how these are our friends and neighbors who are finding themselves without enough food. Young readers also rave about Vin Vogel’s illustrations, especially the egg and fish scenes. And all kids ask me about Cheesy Pizza Bombs. Here’s a link to a recipe for Cheesy Pizza Bombs on my website. Adults have a different response. Some get teary-eyed, I believe, because the depth of the issue hits them, and maybe perhaps because adults are more cynical. We’re thinking in the back of our minds “this is too big to solve.” The beauty of children is that they dream the impossible, that we can and will eliminate childhood hunger. We need to let the kids take the lead on this one. Q: You’ve been doing a lot of school visits since the book has launched. Was that always part of your plan as a children’s book author or did you undertake them specifically because of the themes of Maddi’s Fridge? Lois: A few years ago I was in an artist in the schools program and found that I loved working with small children. School visits were definitely part of the plan. However, Maddi’s Fridge is different. Schools and youth organizations hold food drives around my visits. Kids proudly tell me that they gathered, say, 357 food items (two third grade classes in their school) or 1,621 items (Brownies and Daisies going door-to-door). Kids want to help. The power of their small hands and big hearts is really making a difference. 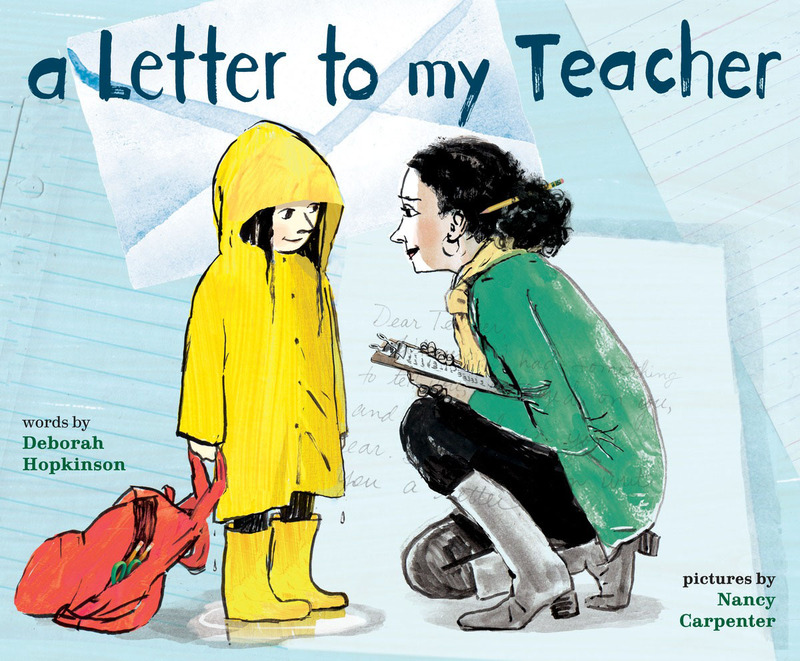 Q: Do you feel that a visit from an author makes a difference in students’ attitudes towards reading and writing, or in any other way? Lois: I hope so! The theme of my school visit is the importance of stories. I share that Maddi’s Fridge came out of something real that happened to me as a kid. I then talk to the students about the power of the stories that stick in their heads—funny, sad, weird—whatever stays with them is worth writing about. Q: Does any one comment from one of your readers stand out that make all the work that’s gone into writing Maddi’s Fridge worthwhile? Lois: The response has been unbelievable, from young boys running up to me with the book held tightly in their hands, yelling “I love Maddi’s Fridge!” to kids all over the United States organizing their own food drives. The most shocking revelation for me, even though I know the statistics, is the number of adults who tell me about a time when either they had no food as a child or when as parents they were unable to properly feed their own children. I have the impression that for some of these people, this is the first time they’ve shared their stories. Childhood hunger and poverty is rampant in the United States. Even in prosperous Washington State – home of Microsoft, Boeing, Amazon, Costco, Starbucks, among others – 44% of school-age children are on full or partial federal subsidies for school lunch. Nationwide the number is closer to 51% of American children. That’s 14 million children right now in the United States who are growing up in households struggling to put food on the table. Those are 14 millions stories that we as a nation need to pay attention to. Lois: I am working on a couple of picture books that make my heart soar, and a middle grade historical novel that is testing every writing fibre in my being. For more about Lois and her writing projects, visit her website where you’ll also find information on ways that you can help fight hunger in your community as well as some fun activities for kids.